Griffin have announced a few new cases for the iPhone 4 including the Reveal case which from the looks of it, a great looking case. 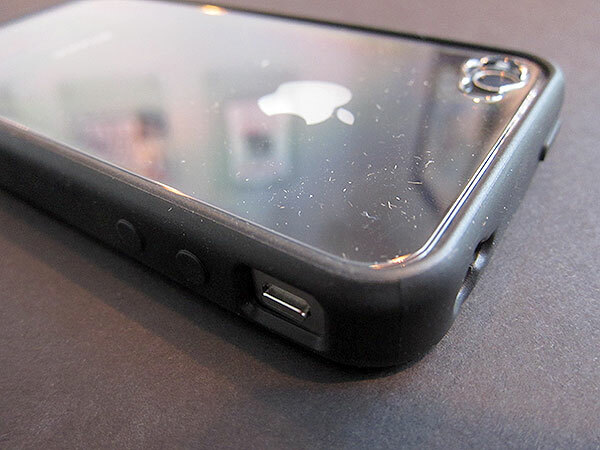 The Reveal is super slim at just 1.6mm in thickness and it's made from a clear polycarbonate back to show off your iPhone 4's back and rubber band that goes along your iPhone's metal band, similar to Apple's Bumper case. The Reveal is now available and currently it's only available in black with a price tag of $24.99.